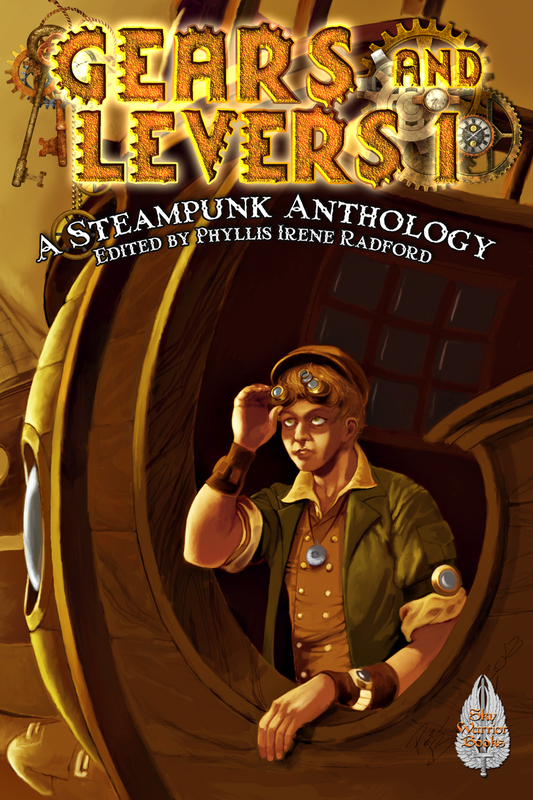 Sky Warrior Books Goes Steampunk! Come, my friends, adventure and romance awaits in worlds that never were but should have been. Magic and science blend together as Gears and Levers explores the quest for all that makes up humanity. 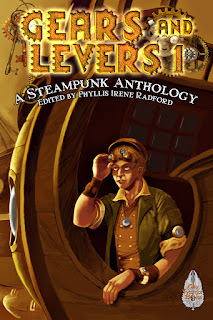 Battle pirates, travel back in time, fly in dirigibles, explore the wonders of the Orient, and walk with automatons in twenty amazing tales set in Steampunk lands by masterful storytellers such as David D. Levine, Brenda Clough, Mark J. Ferrari, Irene Radford, K.L. Townsend, David Lee Summers, Shannon Page, Bruce Taylor, among others. It's been out only 2 days and already it has hit #88 on the Amazon Bestseller list for Science Fiction Anthologies! Buy on Amazon, B&N and Smashwords! My Mother-In-Law tried looking up Sky Warrior Books in the phone book. I think she did it to prove to herself and some of her friends that I was actually running a real business and not just saying that while sitting on the couch, eating bon-bons and watching the latest episode of Deadliest Catch. Trying to explain why the business isn't in the local phone book to the woman whose phone calls somehow knock my router offline every time she calls (it's only her--don't ask me what that's all about) and who is on the high side of octogenarian, is a lot like teaching my Alaskan Malamute, Mishka, to perform differential equations, even if she does know calculus. But I got to thinking. I'm a technological savvy geek who has worked as a software engineer and systems administrator for more than 16 years, and yet captchas constantly befuddle me. I don't know if it is my eyesight (yes, I go to the optometrist once a year) or my brain (there's no hope there), but inevitably when I want to enter something, I end up squinting at those indecipherable pictures and typing in nonsensical words only to have the damn thing tell me I'm wrong. Then, it's onto another couple of unreadable words. Yes, I've requested new unreadable words, without success until the fourth or fifth try. I've even tried the audio captchas for the visually impaired. Evidently, I'm hearing impaired too. I'd swear I hear the words and by golly, the captcha checker still bonks. I figure at some point either I get it right or more often than not, I give up. I understand that captchas are to keep the spambots at bay. There's nothing more annoying than seeing male enhancement spam from some stupid bot when you're reading a blog about anything but. And the spambots are getting clever enough to read captchas designed for humans. I've seen it on my own forums that the spambots are quite capable of getting around captchas and other defenses designed to defeat them. But when the humans are having trouble deciphering the words, I think it's time to start looking at other less obtrusive measures. I'd like to think I'm still technology savvy. I've got a smart phone. I have facebook, twitter and other social media accounts. Hell, I even link my accounts together so posts from one blog will show up in other media. So, captchas shouldn't be a problem, either. Right? No doubt if you make a comment here on this post, you have to run the gauntlet and enter a captcha to prove you're a human. It's stupid, really, if you've already got an account on the blog server. Likewise, if you buy e-books from publishers or e-book stores, you shouldn't have to prove you've bought the book. The technology should be there to recognize who you are without making you jump through more hoops than a circus animal. Like captchas, Digital Rights Management is insidious. They're both a stupid, intrusive fix to a problem that is pervasive throughout the internet. As an author/publisher, I don't want my books or my authors' books pirated. When you read a pirated copy, you're not stealing from a megacorporation with huge profits--you're stealing from me, my authors, artists, and editors. We make money by selling books. I pay them in royalties, so every book you buy pays those in the chain. We price our books to be affordable--less than $3 per book in most cases, so there isn't a huge incentive to steal our books. DRM angers readers. I know that when I bought an e-book some time ago that had DRM with it, I could only use it on a particular computer or device. The reality is that I read books everywhere--on my phone, on my e-book reader, on my computer, and yes, I even want my husband to be able to access my e-books too, so on his computer as well. If I find something of interest, (let's say, a recipe), I want to print it out. I am not going to take someone's book and splash it up on the web or resell it. The silly thing is, the professional book pirates already know how to defeat DRM. DRM keeps the mostly honest people from accessing their e-books the way they want to. DRM treats everyone like a criminal while not keeping the criminals out, like captcha. My point is that some technology we can do without. Instead of coming up with a kludge like captcha or DRM, take other steps to keep the bad guys in their corner. One is keeping the price of e-books affordable. Sure, there are those who are going to want to steal your book regardless of what you price it, but those people are in the minority. A $2.99 book is cheaper than your favorite latte at your local coffeehouse. 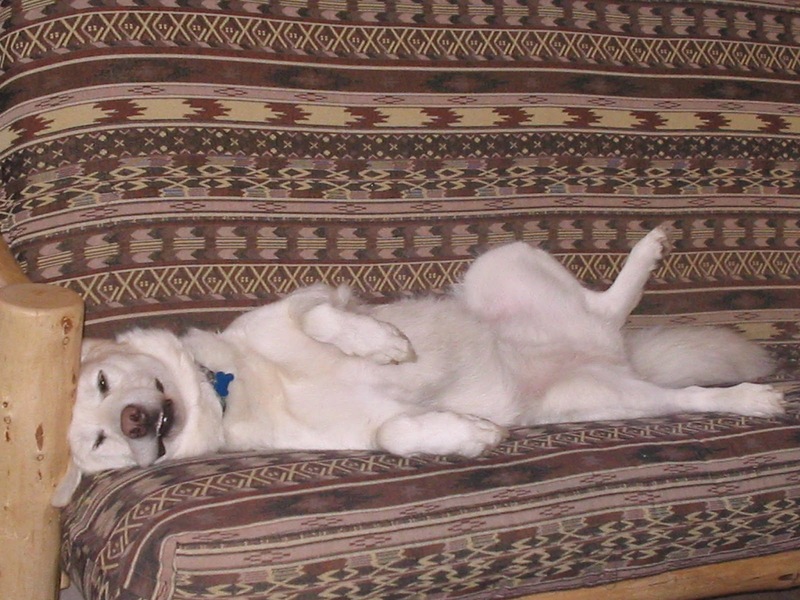 Now, if I could only get Mishka to explain to my mother-in-law why I'm not in the phone book. This post first appeared on the Sky Warrior Books Blog. Today, I got my shipment for World Book Night. The books I chose was Orson Scott Card's Ender's Game (we had a limited choice of books and I chose a SF). I'll be giving those books out at and in front of the Missoula Food Bank on April 23rd this year. The purpose of World Book Night is to get light readers and non-readers to read more books. If you didn't get involved this year, get involved next year! New Sword Video (All Fools Day) from Howard Waddell on Vimeo.